The improving economic climate and growing bridging loan availability have led to bridging finance becoming an increasingly appealing option for investors and businesses. 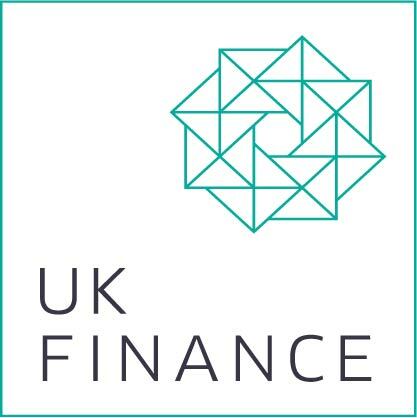 While bridging finance was once a specialist product, it is being used in investments made across the UK with greater frequency. More borrowers are starting to recognise how they can apply the short term loan, and are utilising the funding to benefit their property transactions and their businesses. Popular for a number of purposes, bridging loans are being used to support commercial and residential property transactions, auction purchases and renovation and development projects. Meanwhile, businesses are taking out the funding option when they require a quick cash injection. In particular, it can be seen that the bridging loan projection has arisen from a growing confidence in the housing market. Investments in building and development initiatives and buy-to-Iet schemes have increased demand for bridging loans, as it gives investors the opportunity to renovate and refurbish a property that could not be financed by a mortgage from the outset. Despite bridging finance becoming more prevalent in recent years, with a growing number of people appreciating the flexibility that it offers, many investors and borrowers are still unfamiliar with bridging loans and how they can be used. UK mainstay bridging lender Affirmative Finance has put together a comprehensive beginner's guide to provide people with the information that they need to go forward and set up the loan. From bridging loan uses, time periods and loan amounts to repayments and interest rates, it provides a detailed overview of when to use bridging loans and what to expect when taking out this type of funding. By taking the time to read this beginner's guide, borrowers can make educated decisions when financing an investment, property transaction or cash flow issue, understanding how and when to use bridging loans to facilitate financial situations effectively. A bridging loan is a short-term loan (12 months or less) that can be used by individuals and businesses for any purpose until permanent funding, or their next stage of financing becomes available, or they sell a property. Fast, flexible and secured, it provides borrowers with the quick cash injection they require, which they may have been unable to secure elsewhere within a short period of time. Closed bridge: The borrower has a set date when the loan will be repaid. For example, the borrower has already exchanged to sell a property and the completion date has been fixed. The sale of that property will repay the bridging loan. Open bridge: The borrower sets out a proposed exit plan to repay their loan but there is no definitive date at the outset. There will be a clear cut-off point that the loan has to be repaid by. Bridging finance can be used in both commercial and residential property tra nsactions. Home buyers, home builders, barn converters, landlords, property developers and investors can use the short-term loan. Whether buying a property, building a property or raising funds for a refurbishment project, the short term loan can be an option. The funding option can also be used by businesses in need of short-term funding. Whether they need to raise capital, meet a business obligation or settle tax liabilities, it can help a business to resolve any emergency situation or take advantage of a new opportunity, for example, buying a new piece of machinery. The main difference between a regular loan and a bridging loan is the time it takes to organise the funding. It can take months for a regular lender to complete a deal, but bridging loans can be ready in as little as 24 hours. The process will usually take between 7 to 28 days. Sometimes, this can be reduced to just a few hours, depending on the case and the set of circumstances involved. Similarly it could take longer in the case of a complex development loan which requires a number of conditions to be discharged by the Local Planning Authority. Once you receive the funding, you will be expected to pay the loan back by the end of the term. Interest payments can be made in monthly instalments, or in whole when the entire loan is repaid or retained from the loan at the commencement of the loan. An increasing number of individuals and businesses are starting to use bridging loans to benefit from the short-term financing solution and flexibility that they provide. The funds allow people to take advantage of opportunities that arise, secure property deals (some properties at discounted prices) and also resolve emergency situations, which they would have otherwise been unable to do. As the interest on bridging finance is higher than the rates on other loans, this financing option is used in such circumstances where a short term finance solution is required (generally, 12 months or less). They are also used when there is a requirement to take advantage of a financial situation e.g. buying a property at a discount. Quickly securing a property: People can buy a new property before selling an existing one to prevent them from missing out on a property they want to purchase. Repairing a broken property chain: The loan can prevent a homeowner from missing out on purchasing their new home if a buyer in a property chain drops out. Building a house: People wishing to realise a dream and build their own home. Downsizing: These property owners do not require mortgages, and can use a bridging loan to buy before the sale of their existing property so they can move quickly and independantly. Converting a barn (or other property): For people wanting to live in peace and tranquillity in the countryside or for developers looking to turn a profit. 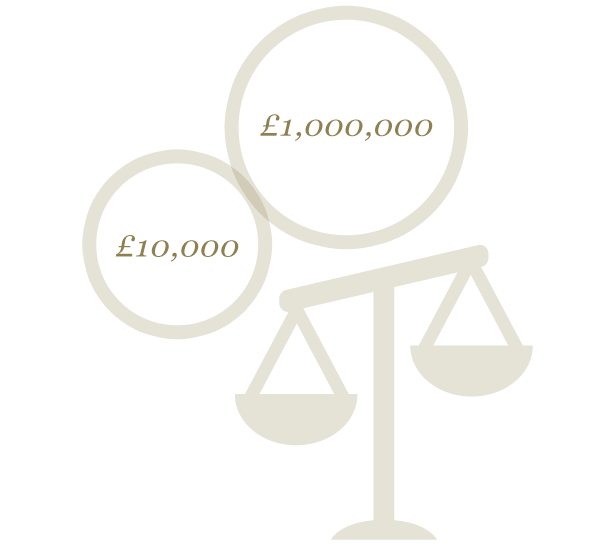 Auction Finance: For people buying property at auction, bridging finance can allow them to pay the required percentage needed as a deposit and then complete the transaction in the time provided for by the auction contract. Temporary Cash Flow Cover: Borrowers looking for a short term loan during a property transaction can use a bridging loan as a quick cash injection. Un-mortgageable properties: Bridging loans can also be used by people fixing up dilapidated properties, where traditional mortgages would not be approved, for example, where properties have no bathrooms, toilets or kitchens. Renovation and development: The funding option can be used by those wanting to renovate a property, or those wanting to develop a piece of land into one house or even multiple houses. Quick access to funds: Bridging loans can be used to take advantage of market conditions and discounted investment opportunities, helping to finalise negotiations so that those opportunities are not missed. Raising capital: Bridging loans can be secured against land and property so that companies can raise the sums of money needed in a short timeframe, for example, buying stock as an alternative to asset purchase finance. Tax liabilities: Businesses can use bridging loans if a tax demand is made, and the amount cannot otherwise be accessed within the required timeframe. Meet business obligations: Borrowers looking for short term funding to meet business obligations and payments or overcome financial difficulties can use a bridging loan as a possible option. For most individuals and businesses, bridging loans are used at times when there is a temporary cash flow issue or a tight deadline, where a quick, short term loan is required to rectify the situation or provide the solution. What properties can bridging loans be used on? The refurbishment of an un-mortgageable property can increase its value following the completion of the work. Bridging loans provide investors with the opportunity to buy these often derelict properties and start their renovation project prior to letting and securing long-term finance or selling for a profit. Bridging loan providers will take into consideration an investor's current property portfolio as well as their potential purchase, making sure that they have the appropriate land or property to use as security. Investors can therefore use the equity on a current property to meet the value of the bridging loan they require, so that they can buy the new property. The amount that can be borrowed depends entirely on the lender and the borrower's circumstances. The minimum loan size will typically be £10,000 and the maximum for most lenders is £1,000,000, but this can vary from one provider to another with some lenders offering to provide loans significantly in excess of £1,000,000. Lenders will typically expect a bridging loan to be paid back within a maximum term of 12 months. As this funding option has a higher rate of interest than standard/normal mortgages, it is practical to have a shorter time frame for borrowers to repay the loan. What is more, bridging loans are typically used to bridge a gap between finances, so the loan is often only required for a short period of time, where borrowers pay it back when their next stage of funding becomes available. A person can normally choose to payoff a loan at any time within the 12 month time period, if they are able to gain access to the next level of financing that they require. It is important when taking out a bridging loan not to simply look at the interest rate being charged but at the overall cost including all fees. Borrowers can sometimes choose to have their interest rolled up. This means that they do not have to pay interest every month but instead pay the rolled up interest at the end of the term. To assist in meeting monthly interest payments, borrowers can sometimes choose to retain from the loan an amount representing a number of monthly interest payments. The borrower can choose the number of months (if affordability criteria can be satisfied). The retained interest is still part of the capital sum of the loan, so interest will be charged on this amount. The total loan must fit within the loan to value. If there is any retained interest which is not utilised by the time of redemption of the loan, most lenders will normally provide a credit for this amount. Bridging loans are becoming increasingly recognised as useful and valuable by individuals and businesses looking for quick, short term funding solutions. By choosing an experienced, trustworthy bridging loan provider like Affirmative Finance, you can make sure that the funds that you need will be provided in the timescale required and in a professional manner.